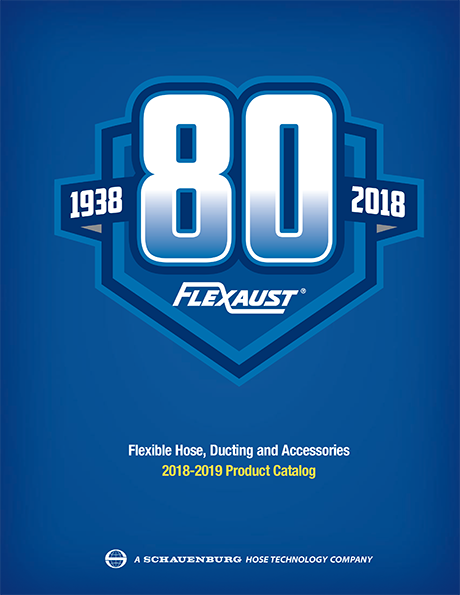 Flexaust introduces a new, two-ply Teflon® coated fabric hose that combines high temperature and chemical resistance for use in severe duty chemical fume extraction applications. 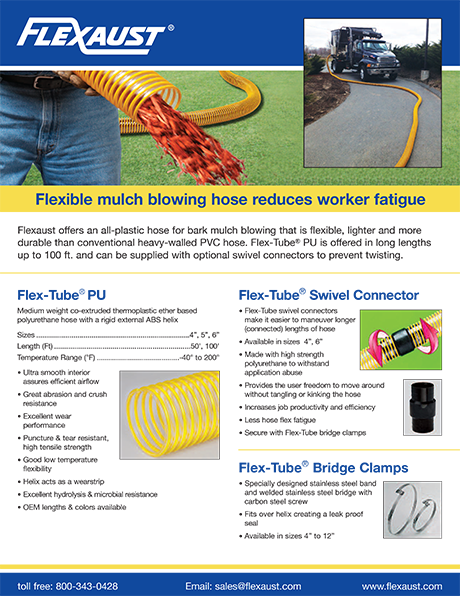 Flex-Lok® TCF is a Teflon® coated fabric hose that provides high chemical resistance and operates at temperatures up to 600°F, making it ideal for handling harsh, wet fumes. 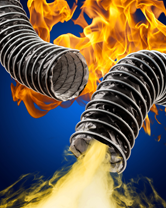 Featuring double-ply construction with a silver heat-resistant fiberglass liner which is mechanically crimped in a continuous process, this flexible hose has a sealed exterior which prevents the escape of dangerous fumes and is available in a wide range of sizes. Providing superior fatigue resistance and good flex characteristics, Flex-Lok® TCF hose is excellent for reel and drop systems, claims the firm. Supplied in 4” to 20” I.D. 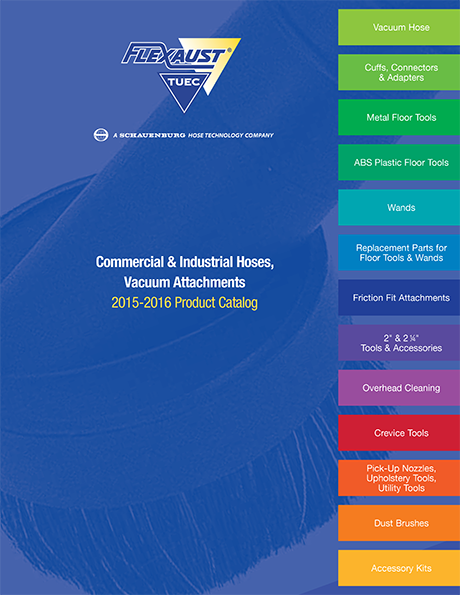 sizes, this high temperature and chemical-resistant flexible hose comes in standard 25 ft. lengths. 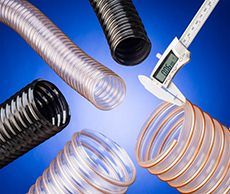 An optional non-marking thermoplastic rubber clip cover to protect the helix is offered. 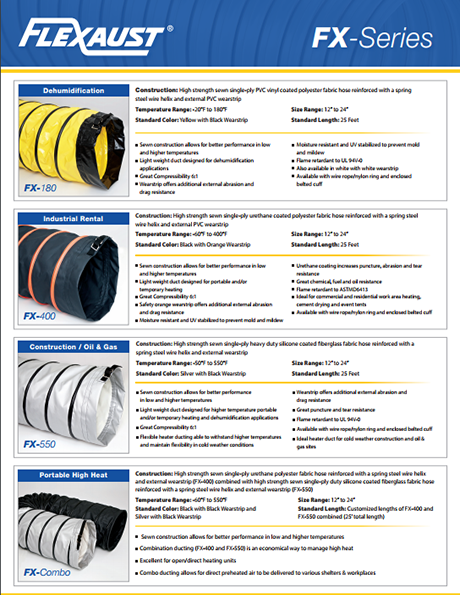 Flex-Lok® TCF fume control hose is priced according to size and quantity. Samples and price quotations are available upon request.